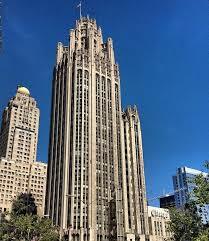 Tribune Tower, Home of the Chicago Tribune and one of many iconic old skyscrapers. Our Chicago sightseeing tours always include the famous architecture. Then See It All Chicago Tours is the perfect fit for you. Check out our tour info and itinerary to learn more about where we go and what we see. 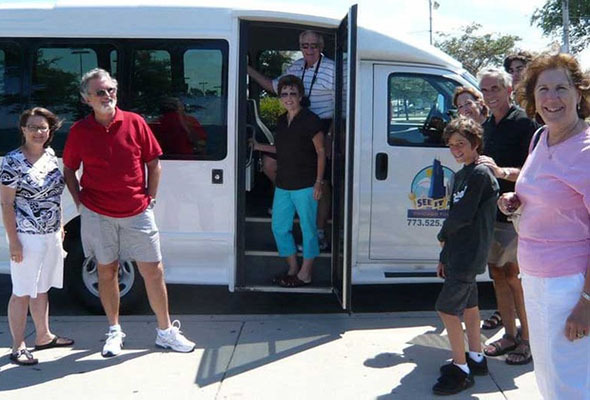 Trip Advisor reviewers verify that when you are looking for the Chicago bus tour company that truly cares about you, the customer, you need look no farther than us. 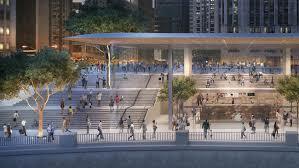 The brand new Apple Store Chicago, on the edge of the Chicago river. 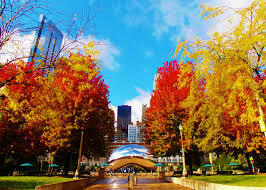 Chicago Tours are great at any time of year. 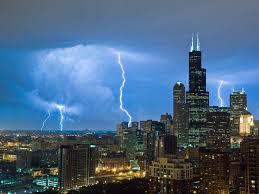 Chicago buildings in a lightning storm looks amazing. Wouldn’t you love to see this if you were on a Chicago tour?